This paper was first written in 2012 based on the findings of a wide range of lessons learnt processes that the Noetic Group conducted for clients across different countries and events. The paper was well received and its findings and recommendations have proven to be enduring. 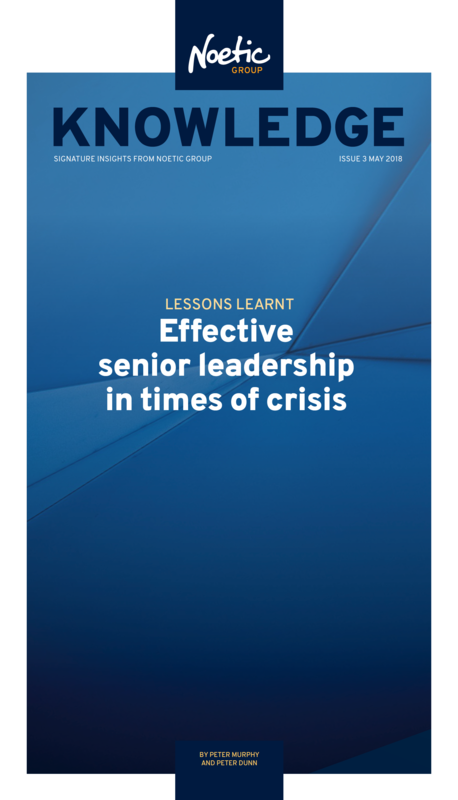 Since the initial publication, Noetic has continued to undertake lessons learned processes with clients, gathering more evidence and learning more about crises in different contexts. This has provided Noetic with additional data and insights. In addition to continuing work with emergency services and first responders, Noetic has more recently worked with corporate organizations. It was found that the earlier findings are also applicable in crisis situations faced by corporate organizations. This new data and the insights it provides are incorporated into this revised and updated paper.